Surge Deluxe doesn’t require much artwork as its an entirely puzzle driven game. With Twixel in full charge wanting to be released relatively soon, I haven’t had much time to play games, other than the occasional half an hour here and there on Titanfall after a programming and game design session. This week, I really didn’t want to stop my 80+ week streak, so decided to quickly grab ahold of the game Surge Deluxe for the PS Vita and play it whenever I got a spare minute at work and at home. 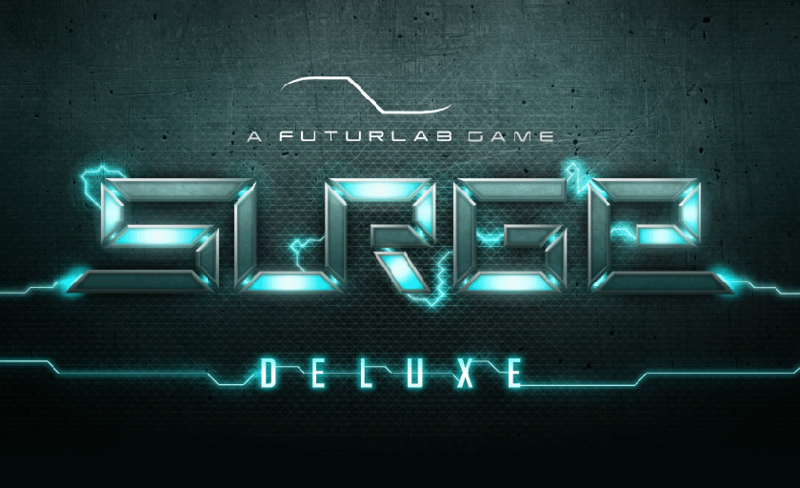 Surge Deluxe is a puzzle game, one in which you must get rid of as many cubes of the screen as possible by linking them together using the touchscreen to create combos and clear the stage. Whilst you’re doing this, you have two “pressure” meters which must be relieved by clearing blocks at the sides of the stage and releasing valves, whilst also trying to clear the whole level before the timer runs out. A lot is happening at all times, which makes Surge Deluxe both a pleasure to play and a nightmare to master. The Electric you see in the background is made whenever you touch the screen, which has a nice effect to it as your trial your fingers across the screen. Let me tell you though, its bloody hard to take screenshots whilst doing this on the Vita. 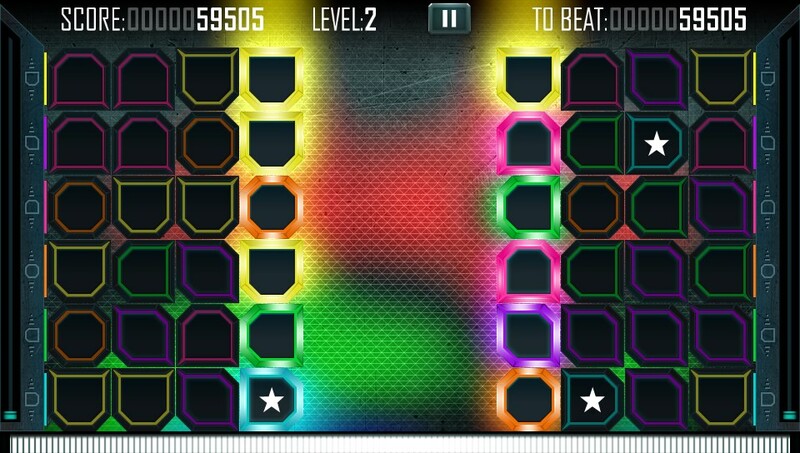 Surge Deluxe certainly amps up the difficulty as the game goes on, with press gauges going up faster with each level, whilst random tiles on the screen start to immerse, changing the gameplay dramatically. You have the colour block, which will change the colour of every tile on the screen to the one you match up, the multiplier, which multiplies your score depending on how many tiles you’ve linked before touching it, the bomb, which will destroy everything on the screen resembling the colour you link to it, and the ? block, which will increase in multiples the more that you link in one chain. These items all help to get the game interesting and dynamic as the endless strategy goes on. You’re constantly having to choose between getting a high score and clearing the level, which certainly caught me off guard many times as I’d die by being too greedy. 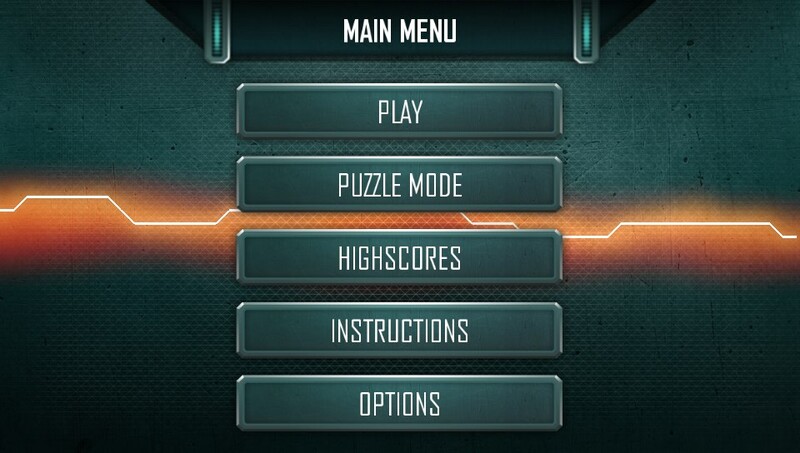 Whilst the mode I was describing goes on forever and will introduce you to the game, Surge Deluxe also comes with a puzzle mode, where you’ll be presented with a set number of tiles on the screen, and will not only have to complete the level in a set amount of time, but also with a certain score, meaning you could be stuck looking at the same level for a while before coming up with the solution. I know one thing: It’s bloody hard. The scores to achieve are just ludicrous, with myself not being able to accomplish one in the half an hour I had a go at it. Maybe I just don’t understand the mechanics on how to get high scores well enough, or maybe the scores are just too hard. Regardless I think other people will have to let me know before I make a firm decision on whether its the former or latter. Tiles not in the open area cannot be accessed until you start to destroy the tiles in front of them, causing you to constantly calculate whether it’s worth going for the higher score or just removing them as soon as possible so you don’t lose the game. I found my time with Surge Deluxe both short, and extremely satisfying. I wanted it short due to the relatively short amount of time I get for leisure these days, but I feel I could have quite as easily become hooked on the game, investing hundreds of hours into it, maybe once every night before I go to bed. Regardless, the game is satisfying for an itch in the same way that Tetris needs to be played once every few years; it’s fantastic to use your analytical skills to succeed at many small puzzles every now and then to keep your brain exercised in the same way you would your muscles. By all means get the game, it’s relatively cheap, and can be found on Playstation Plus quite often (that’s how I got my copy). I certainly enjoyed my time with the game, and I hope others would too.